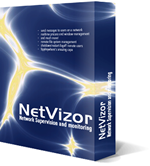 An Activity Monitor is a software tool that captures and records what a user on your computer does - often in stealth. 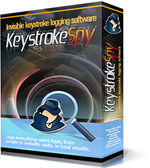 Activities that are recorded by our powerful spy software solutions include keystrokes typed, websites visited, chat conversations, applications ran, emails sent and received, files opened, and much more. 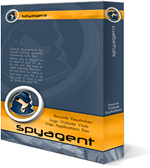 Our activity monitoring tools, such as SpyAgent, Keystroke Spy, and Realtime-Spy, can operate in total stealth so that you will not have to worry about users discovering you are monitoring them - and even if you inform them they will still not be able to tell how. 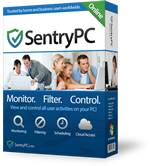 Our Activity Monitors are popular tools of choice among parents, employers, spouses, security professionals, and network administrators because they leave no doubt in their minds as to what their computer users are doing and how their computers are being used. 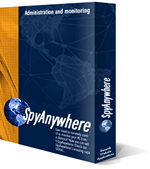 SpyAnywhere provides the power to remotely control computers with SpyAnywhere installed - all from your favorite web-browser! 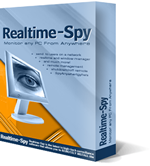 SpyAnywhere allows many powerful controls for remote control, and also allows you to remotely monitor other computers. When combined with our SpyAgent spy software, SpyAnywhere turns into a powerful remote monitoring and surveillance solution - allowing you to remotely control and view SpyAgent's logs!